An estimated 1.7 million people in the United States suffer some type of traumatic brain injury each year. Of the total estimated number injured, 300,000 people are hospitalized and the remainder are released from an ER. While a concussion is typically considered a mild TBI, it is important to understand that this type of violent shock to the brain is responsible for 30% of all injury deaths in the US can be attributed directly to brain injuries. 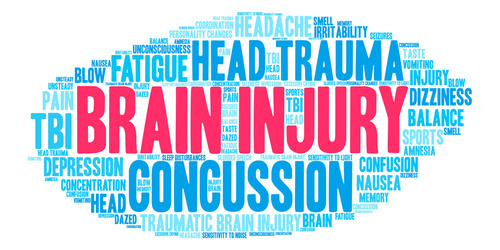 140 people in the United States die each day from injuries that include a traumatic blow to the head. The symptoms of a concussion do not always immediately manifest and it is possible they will last from a few days to month, or even longer. The injured party may feel increased pressure or a pain in his or her head, experience memory problems and suffer confusion in certain situations. Most of us expect a loss of consciousness, but that does not always occur. Falls at home or in an office setting account for more concussions in a year than any sport. This can include your toddler taking a tumble, your grandmother tripping on a stair or you slipping in a puddle outside your office complex. Younger family or friends will find they are able to recover quickly after a TBI, but there will likely be hospital bills and follow-up appointments with your doctor. An older individual may find life needs to be modified to work well with changes that linger. If you find that you need help getting your life back in order after a TBI, working with McBride, Scicchitano & Leacox P.A. can help you obtain appropriate compensation for your injuries.